Morgan Sze is the manager of Azentus Capital Management and it is among one of the largest hedge funds of Hong Kong. It has a current portfolio of $184 million, as per its recent SEC 13F filing, with its primary focus in Technology industry and consumer goods sector. Micron Technology, Inc. (NASDAQ:MU), Mead Johnson Nutrition CO (NYSE:MJN), Twenty-First Century Fox Inc (NASDAQ:FOX) are the three primary holdings of Azentus Capital Management. (You can see the complete list of Azentus Capital Management holdings here). Micron Technology, Inc. (NASDAQ:MU) is the largest holding of Azentus Capital Management with investments worth $35 million and 1,088,618 shares of the company. 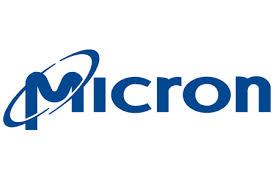 Micron Technology, Inc. (NASDAQ:MU) reported net revenues of $4.23 billion for the fourth quarter 2014 with net income of $1.15 billion attributable to its shareholders. Baupost Group has investments worth $1.70 billion in Micron Technology, Inc. (NASDAQ:MU) followed by Greenlight Capital ($1.32 billion) and Viking Global ($583 million). Azentus Capital Management has investments worth $31 million in Mead Johnson Nutrition CO (NYSE:MJN) with 340,600 shares. Mead Johnson Nutrition CO (NYSE:MJN) announced net sales of $1.11 Billion for the second quarter 2014 with GAAP net EPS of $0.84. Citadel Investment Group holds a stake of $189 million in Mead Johnson Nutrition CO (NYSE:MJN) followed by Generation Investment Management ($178 million) and Emerging Sovereign Group ($118 million). Twenty-First Century Fox Inc (NASDAQ:FOX) is the third largest investment of Azentus Capital Management with 650,820 shares and investment worth $22 million. Twenty-First Century Fox Inc (NASDAQ:FOX) reported net revenue of $8.42 billion for fourth quarter 2014 with operating income of $1.77 billion before amortization and depreciation. Yacktman Asset Management has investments worth $1.55 billion in Twenty-First Century Fox Inc (NASDAQ:FOX) followed by Eagle Capital Management ($707 million) and Tiger Global Management LLC ($650 million).